Home / Beauty / Clinique Even Better Clinical Dark Spot Corrector / Is Clinique Even Better Clinical Dark Spot Corrector Really Better? Is Clinique Even Better Clinical Dark Spot Corrector Really Better? 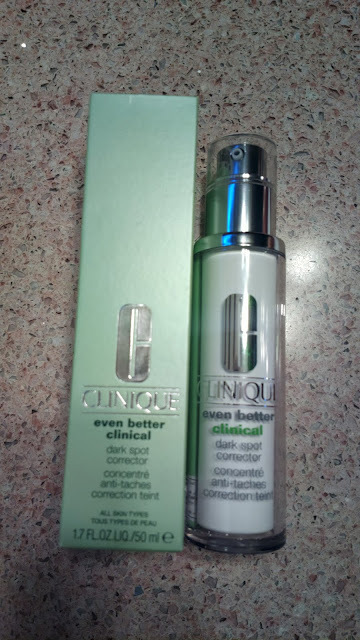 I discovered the Clinique Even Better Clinical Dark Spot Corrector online while searching for products that are actually supposedly working for skin blemishes particularly pimple (or even acne) caused scars according to real users. It was quite difficult to find though since most websites offering the item are located overseas so you will have to wait for weeks or even over a month for shipping and will have to pay in dollars using a credit card. Luckily, the manufacturer, Clinique has branches all over the Philippines and I was able to bring home a 50 mL box from the Mall of Asia branch. I initially followed the product advisory about using it twice daily (morning and evening) with sun screen application. But found it challenging to religiously stick through the ordeal in the morning considering how busy my day normally is. I didn’t like the feel of sun screen too. So I only managed to apply it at night a few days after trying the product. About a month after, even my husband noticed improvement although he didn’t know I was testing this brand. Although the changes were minimal, it sure was noteworthy. He said that it looked better as compared to how it was when we first met about 6 six years ago. That alone, I can definitely say that the Clinique Even Better Clinical Dark Spot Corrector is indeed really better than most counterparts including the pricey yet disastrous (for me) fractional needling therapy. For more information on Clinique branches and branches, visit www.facebook.com/CliniquePH. Retrying this product for new spots yet again :( The packaging now includes more detailed instructions. Use sunscreen and exfoliate along with using this item. May I ask po? Magkano po ito? Thanks. Yung smaller bottle, around 3k+ po. Yung bigger bottle, mga 4500+ na. Visit a Clinique store branch.